Ray grew up with six siblings in a village in the foothills of Mount Kilimanjaro. 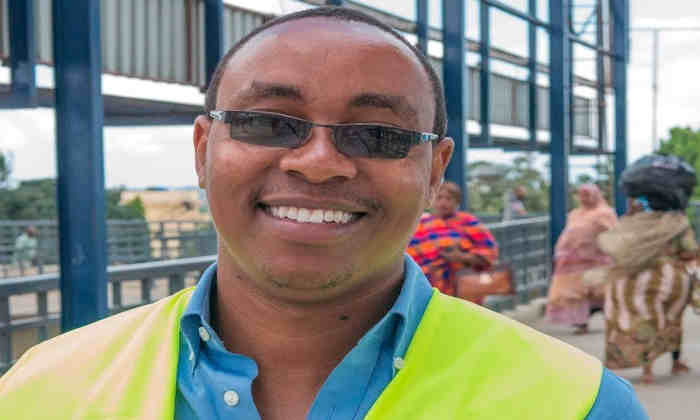 From his days at a technical school he dreamed of making a real difference to his country, and he worked hard to eventually graduate from Dar Es Salaam Institute of Technology as a civil engineer in 2011. However, while he was able to gain work in his chosen discipline, he became aware that the East African construction industry lacked specialist knowledge in the field of project management - this meant that most construction schemes were being led by experts from overseas. His life changed forever when his friend sent him a website link to Manchester’s Equity and Merit Scholarships - after successfully applying, he was able to study for an MSc in Construction Project Management at Manchester. The University waived Ray’s tuition fees, and a bursary to cover his living costs for the year was generously funded by donor Mrs Josie Rowland. He is now using his newly-acquired skills back in Tanzania’s capital city. Dar es Salaam is a city of more than 4 million people which has seen huge expansion in recent years. This had led to chaos on the roads, with traffic problems so severe that they were having a negative impact on its economic growth. Equipped with the necessary skills by his studies in Manchester, Ray is now managing the construction of Africa’s first-ever bus rapid transit system, inspired by similar systems in Latin America. Construction of ‘DART’ (Dar Rapid Transit) began in April 2012, funded by the Tanzanian Government and the World Bank. The scheme has already resulted in vast improvements to journey times, and has made jobs in the city more accessible for those living on its outskirts.